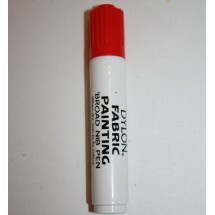 Dylon Fabric Pens	There are 5 products. 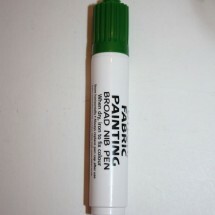 1 * Dylon Colourfun Fabric Pens - Green. Make your own design with the Dylon Colourfun pen. Fixed by ironing. 1 * Dylon Colourfun Fabric Pens - Purple. Make your own design with the Dylon Colourfun pen. Fixed by ironing. 1 * Dylon Colourfun Fabric Pens - Red. Make your own design with the Dylon Colourfun pen. Fixed by ironing. 1 * Dylon Colourfun Fabric Pens - Royal Blue. Make your own design with the Dylon Colourfun pen. Fixed by ironing. 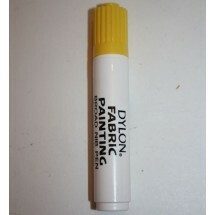 1 * Dylon Colourfun Fabric Pens - Yellow. Make your own design with the Dylon Colourfun pen. Fixed by ironing.